Tile Roof Installation Takes A High Level Of Precision And Skill. Tile roofing generates many positives for a residence. Aside from the aesthetic effect, tile roofs reward homeowners with durability and long-lasting protection. At ECO Commercial Roofing, we stand as the masters for tile roofing in Texas, Louisiana, and Mississippi. Remember our company for tile roofing needs including full installation, maintenance, and service. Clay tiles work well across a significant assortment of residences, and add a touch of pizzaz redolent of Mediterranean-style construction. Concrete or slate tiles will provide even better durability, and present a visually striking selection for homeowners to consider. Any tile you choose will offer better protection than asphalt shingles, however. Give our team a call today at (833) 200-0571 if you have become interested in tile roofing for Texas, Louisiana, and Mississippi. Among home roofing, tile has presented a routinely popular choice. The reason why is because tile supplies both visual attractiveness and a respectable degree of longevity. 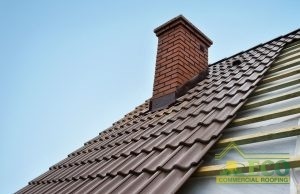 To help settle whether or not to invest in tile roofing for your own house, think about these assorted positives. Available in A Variety Of Options, Tile Roofing Is A Great Addition To Your Home. Compared to materials such as asphalt shingles, tile offers much greater longevity. With correct service, the life of tile roofing can extend from 60 to 100 years. Modern tile roofs have become beneficial for most regions, thanks to built-in water shedding and ventilation abilities. Concrete tiles have a huge variety of designs, which gives the homeowner lots of freedom in design. In addition to their suitability for Spanish and Mediterranean building, tiles can get manufactured to emulate additional types of tile. An additional benefit of tiles comes from their advanced level of resistance to storms and high winds. A well-installed tile roof will stand up to wind of up to 150 mph. Less frequent maintenance mean that these roofing systems can actually conserve resources over the long-term. It’s typical for assorted varieties of roofs to look drab way before their usefulness expires. Coloration steeped in all-natural beginnings including iron oxides or the clay blend supply the color for roofing tiles. As the coloring is infused through the tile, roof tiles offer long-lasting color that keeps your residence looking attractive. For further information on tile roofing, or to set aside time for repairs or installation, contact our team today at (833) 200-0571. We provide unparalleled service that creates a roofing system for the ages. When you need tile roofing in Texas, Louisiana, and Mississippi, have faith in ECO Commercial Roofing.